IMG_3287, originally uploaded by pengellyplace. I'll be teaching a hat class just before Halloween. 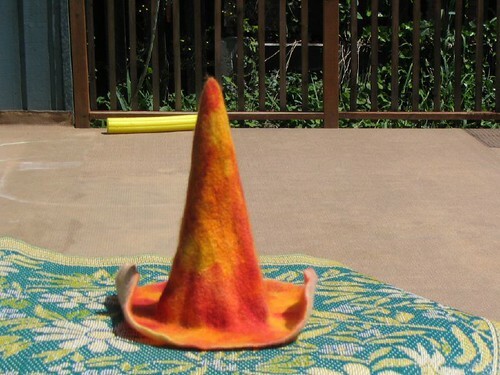 To promote it I just made this witch's hat.